i finally finished this crocheted blanket i’ve been working on for over 4 years. and by working on, i mean i do a few rows twice a year. and by finished, i mean gave up and made it into a shawl. i’m just not a fast crochet-er. i do wish i knew how to make hats though. though maybe i should call it good. Beautiful work! Shawl’s are in! 🙂 Or better yet…a scarf! haha! More than I woulda done! That is quite the pattern for a beginner. Awesome job!! Is there anything you can’t do Jessica? 🙂 You’re amazing! The blanket (shawl) turned out great. If you can do that, than you can easily make a hat. It’s a temple shawl, lol 🙂 Or for the old ladies at church who are always cold. 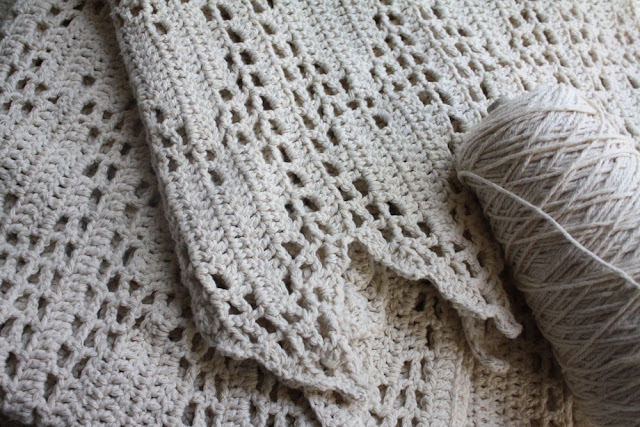 We used to have a couple widows in the LB ward and I almost made them shawls as a Laurel project, but alas, I didn’t do it.